We are very proud to have her as part of our leadership team and for me also the Paragon Program but I think for me personally I will never forget a message Trinity sent me in the past asking about getting involved with our Leadership Team. In a particular section she explained to me why she would be a good choice and what she could add to the club. I was blown away. Not just at how she wrote the message but the love for Taekwondo she had put behind it. what she had sent to me was a message that only someone who had real passion for what she did could write. Hi, my name is Trinity and I am 13 years old. I have been training in taekwondo for almost 9 years and I am currently a Black Belt 1st Dan, going for 2nd Dan in November this year. I still remember the day when I was five, and my mum asked me if I wanted to try this sport. We were casually walking past subway in Bunbury and my response was ‘Yeah sure.’ If only I knew how life changing that conversation would be for me. 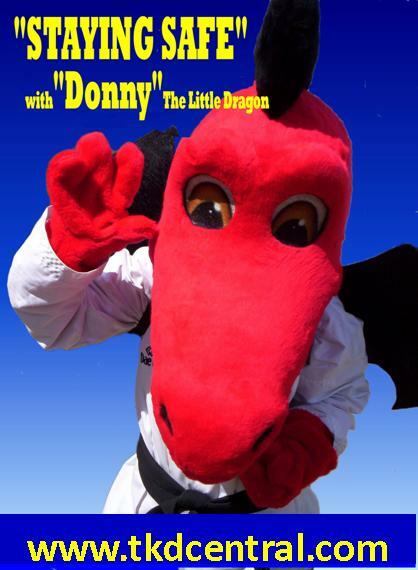 I began with TKD Central in the little dragons program and I absolutely loved it. We lived out of town, so mum would need to finish work and then I would hassle her to drive me to Bunbury for training. I stuck with this until I had completed the entire little dragons program and progressed into the senior belt class. At this time my family moved even further away from Bunbury which made training much less achievable. So mum enrolled me in the local taekwondo club who I trained with for about two years. This club was slightly different in structure due to being part of the International Federation opposed to World Taekwondo Federation. Both offered so much to me in my taekwondo journey. Then came the worst year of my life…. I began to feel unwell. Nothing too extreme initially, just unwell. Except that instead of getting better, I was getting worse. My parents took me to countless of doctors’ appointments and many hospital visits, yet no one could work out what was wrong. Until I had a tell-tale nasty bright red rash that began to spread from my left foot and up my leg. I was diagnosed with Osteomyelitis (infection in the bone) and my treatment was quickly taken over by PMH hospital. 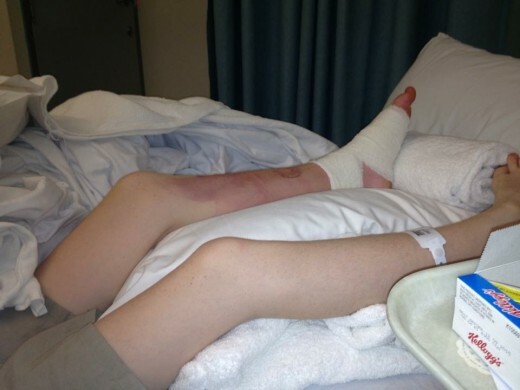 I was rushed into surgery and spent a long time in hospital recovering. 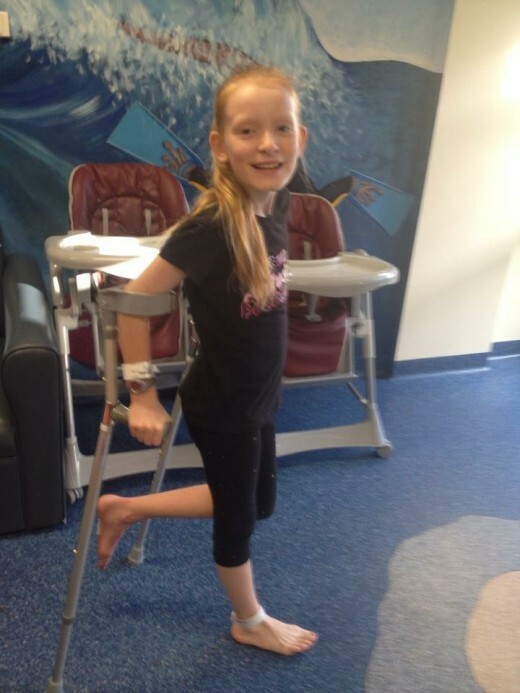 My parents were told on several occasions to prepare for the fact that I may lose my left foot and I was given a six month combination of IV and oral antibiotics. I was beyond devastated and grumped at everyone for at least a week before I finally understood. This was the lowest point for me. But I concentrated on getting better, went back to school, caught up on what I had missed, and took up swimming as soon as they gave me clearance to do so. I would swim several times a week to both strengthen my foot, and to keep up my fitness levels. I learnt three things from that year. 1. Sometimes things happen that are completely out of our control. You just need to do the best with what you have. 2. Even if you think there is a clear path to your goal, it doesn’t mean it’s the only path to get there. 3. I really enjoy swimming. Another two significant things happened that year. My local taekwondo club closed down, and we moved back closer to town. 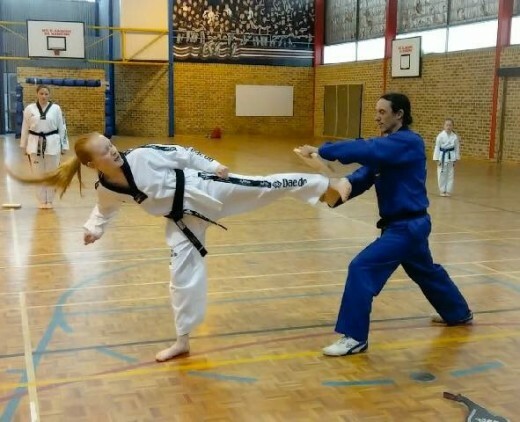 This meant that I could train at the TKD central Australind class. Because my mum was still being cautious, I began in the second term. The same time as my little sister Annika started the Little Dragons program I had been raving to her about for years. I entered back into training with a blue belt 1 stripe and my eyes firmly set on black. I achieved this goal in November 2017, but what I learnt along the way was priceless. 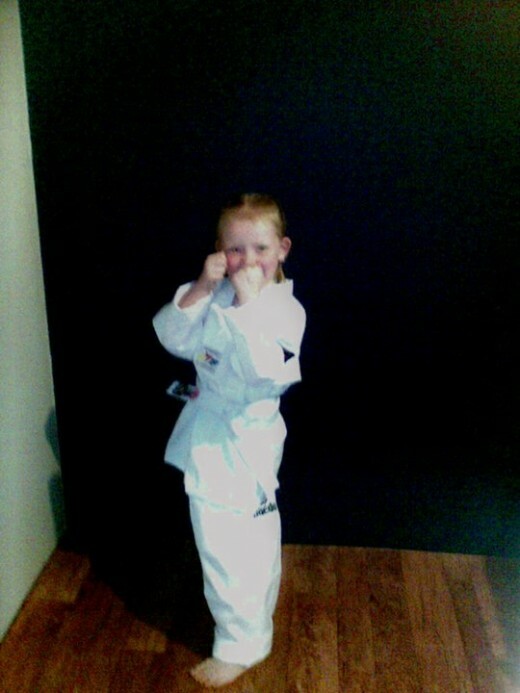 I believe there is so many benefits that children can use in their lives through training taekwondo. 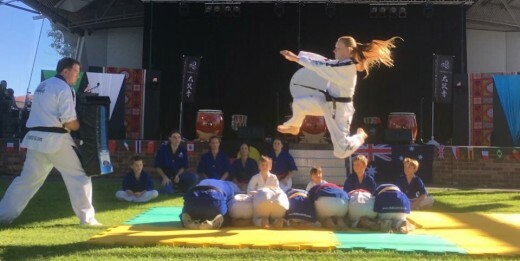 Sometimes I think of the person I would be if I had of said no to mum on that day at the subway and had never started my TKD journey. I realise I wouldn’t have any of the following traits that I now value so much in my life. Confidence: The level of self-achievement and self-esteem that you feel after each of your successful belt grading’s is hard to explain. You work so hard to prefect each step and skill. So to achieve these goals is extremely rewarding and really keeps you motivated to want to achieve more. I am also someone that isn’t afraid to stand up in front of the entire school to speak. Some people say that this is a personality trait, but I think it’s because I have stood in front of a panel for grading’s since I was five. I’m ok with people judging my abilities and I learn from any mistakes. I also think this makes me more confident to just be myself. Commitment: To commit to something and following through with it, also brings a sense of achievement. I have never struggled with committing to taekwondo and I don’t think I have ever said that I don’t want to go to training. Each time I bow into training it feels like I am coming home. And my training friends are like extended family to me. So it’s fairly easy to remain committed. I know that this isn’t unique to me, as my sister is exactly the same. We are the ones hassling our parents for more training and getting frustrated when they plan things for the weekends and we can’t go to sparring classes! Respect: There is so much respect within our club. We respect our instructors for their skills, knowledge and time that they give to us. We respect higher belts for their experience and what they can teach us. We also respect our elders as when we line up in our ranks, if you are the same belt as someone else, the oldest stands in the higher rank and I acknowledge that they have earnt that right. Probably most importantly, we learn to respect ourselves more. To believe in our own abilities yet know that we all have different limitations. But there is also a general feeling of respect throughout the club and everyone has something they can teach you. Some of the biggest lessons I have learnt on my journey have come from younger children on lower belts. They can certainly remind you to stay on your game! The importance of having good mentors: There is so much that we learn from each of the instructors at our club. I take so much from the paragon classes with Master Justin. He has such a passion for this sport and for seeing his students succeed. He shows me all of the precision in each move and the reasoning behind each step in our patterns. Master Justin pushes me to be better than I was the week before and believes in my abilities. I always leave Paragon classes feeling extremely accomplished. Head Instructor Ajana provides ongoing support for me throughout the week. She patiently guides me and ensures that I am always on task. There is so many traits that I admire from Ajana and she is a big reason in why I moved my goal post beyond black belt. I love watching Ajana with kicks and patterns. Her every movement just seems to flow so effortlessly. Her ability to run larger classes and meet the needs of so many differing levels is just inspirational. Instructor John has spent hours helping me with my sparring. There are some areas of sparring that I find more challenging, but John is always supportive and makes classes really fun. I also help John with a junior class as part of the leadership team and I can say first hand that younger children look up to him with such admiration. He is also one of those unique people that seems to defy physics with a killer axe kick! There is plenty of other club members that have helped me in my journey. Luke, Kelly and Travis all provide something different to our training sessions and all help us to strive for our goals. 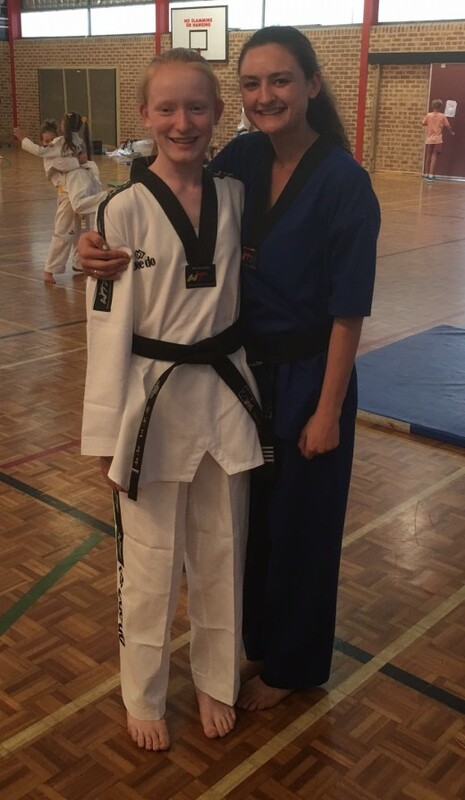 Rachel, Kian and Ashlee (all of who went from Cho Dan Bo to Black belt at the same time as me) I think I will also have a special bond with. Goal Setting: You are forever setting goals in taekwondo. 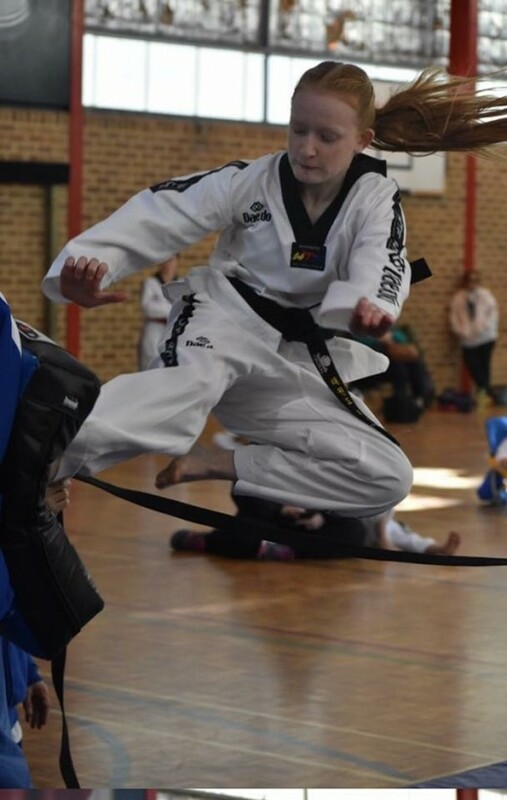 From being able to do a particular kick, to passing your coloured belt grading, to achieving your black belt. My goal throughout taekwondo was to achieve black belt. That was until I got to red belt. Then I actually got a little worried and had to reconsider my goals. Not because I was scared to go for black belt (which I was) but because Taekwondo had been such a big part of my life for so long and I didn’t want it to end there. So before I even got to black belt grading, I had moved my goal post out. I don’t believe I would of felt so much success in life without having this sport and I hope that my passion continues throughout the rest of my life. So I will be back in Perth in November to hopefully leave with 2nd Dan. Other Peoples Success: Competition, taekwondo is obviously a competitive sport. But the main competition is truly within yourself and wanting to continuously improve. As much as it is so much of an achievement when you pass your grading’s, seeing your training friends succeed is almost just as rewarding. We all know how much has gone into getting to that point. And we all try and help each other with the areas we may be struggling with. It really is a gift to see people reaching their goals. I could go on and on about why Taekwondo is so important to me. But overall I am extremely grateful to have been given the opportunity to participate in this sport and so grateful to everyone that has been part of my journey. 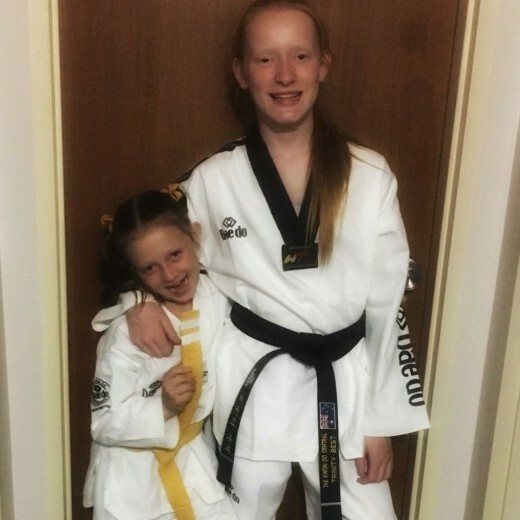 Becky says “You are amazing and a strong fighter who packs a punch!” She can’t believe you’ve overcome that disease to achieve your Black Belt and beyond!